When you're a kid, you live for the mini Snickers bars and Reese's Peanut Butter cups on Halloween. As an adult, you might grab an Almond Joy from the office candy bowl to get in the spirit, but you're probably more focused on what you're going to drink later and wear for that Halloween party. What if this whole time you were missing the ultimate in chocolatey goodness and it included real cacao--stoneground, minimally processed--combined with healthy ingredients like organic coconut and nuts. This thought is occurring to a rapidly growing number of people discovering the flavor explosion delivered by local chocolate makers. We had this experience with Rawclates from Brooklyn. Rawclates became known to us as resident's of New York City and even more interesting when they opened a mobile store with Treatmo, so we could easily shop them from out of state. We've been working our way through their menu in the app, trying creative bars and truffles. 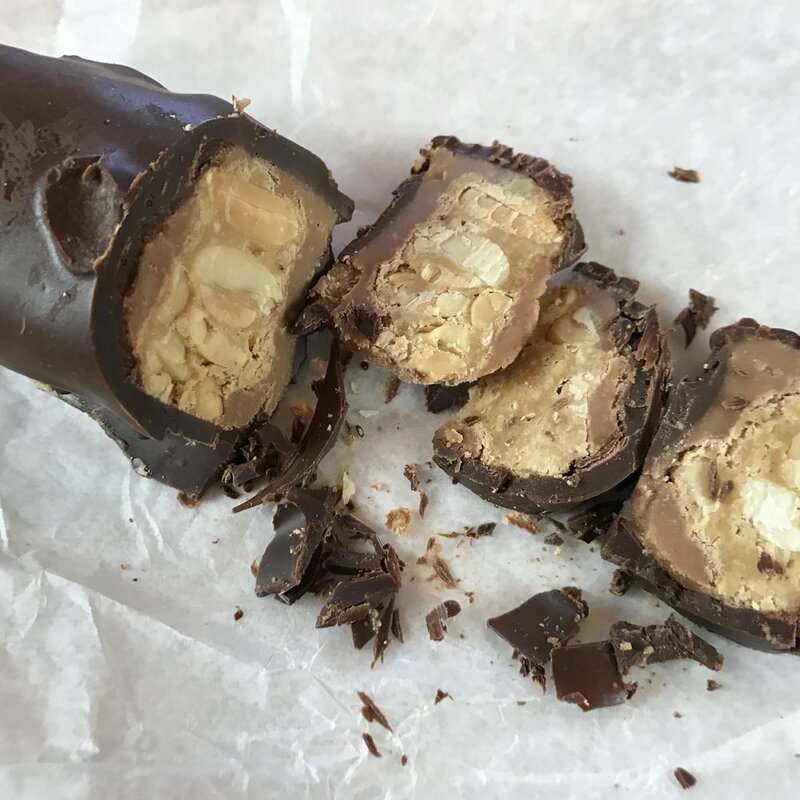 But, we recently sunk our teeth into the Rawclates 'Snickerz' bar--pure, all natural ingredients, dairy, egg and gluten free--and were blown away. We had the same experience with their spin on a classic chocolate covered Oreo--also all natural, vegan and luscious. It's not likely we'll look at chocolate the same way again. If you really want to indulge yourself or gift a friend, it's time to explore Rawclates. They won't let you down. 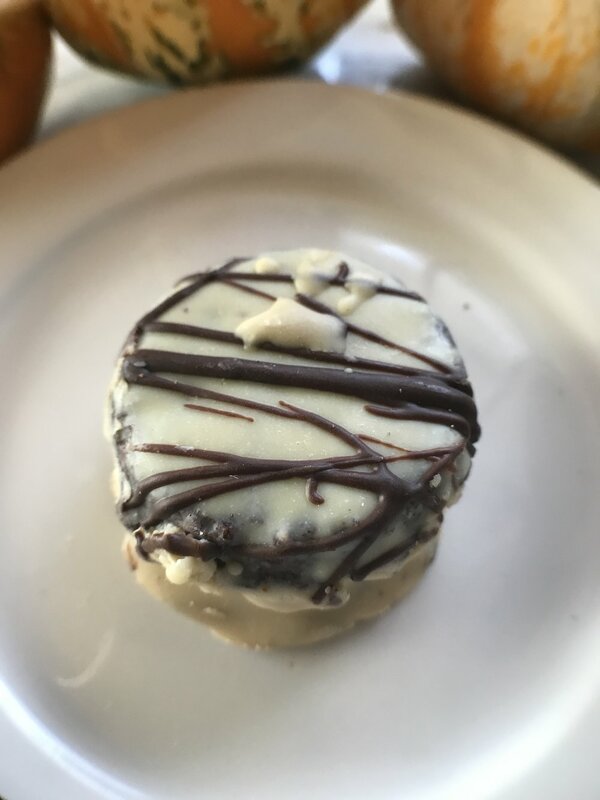 Rawclates classic 'Oreo' Truffle -- see their store in the app for flavor options like Matcha White chocolate. Shop on Treatmo iOS App. Their packaging is very minimal, but the treats deliver big time. We like a chocolate maker that's focused on the goods. Shop their truffles like the 'Oreo' and 'Snickerz' for $3.50/$5.50. Stock up on a few things. Shipping is $13.60. Worth every penny. For an enlightening chocolate experience that takes you back to childhood as it simultaneously elevates your appreciation for cacao, Rawclates is the one. Shop and gift through Treatmo iOS App and experience your love for chocolate all over again. We had a live tasting here on our Youtube cooking channel!